Country tomatoes (நாட்டு தக்காளி) have a native tangy taste that is unmatched. Traditional recipes requiring tomatoes taste better with country variety than with the hybrid variety, which is more suited for salads. I came across this particular gravy in a restaurant and simply loved it. After a painstaking search for the recipe and several trials in the kitchen, I have finally managed to make the gravy with the same consistency and taste I enjoyed in the restaurant. 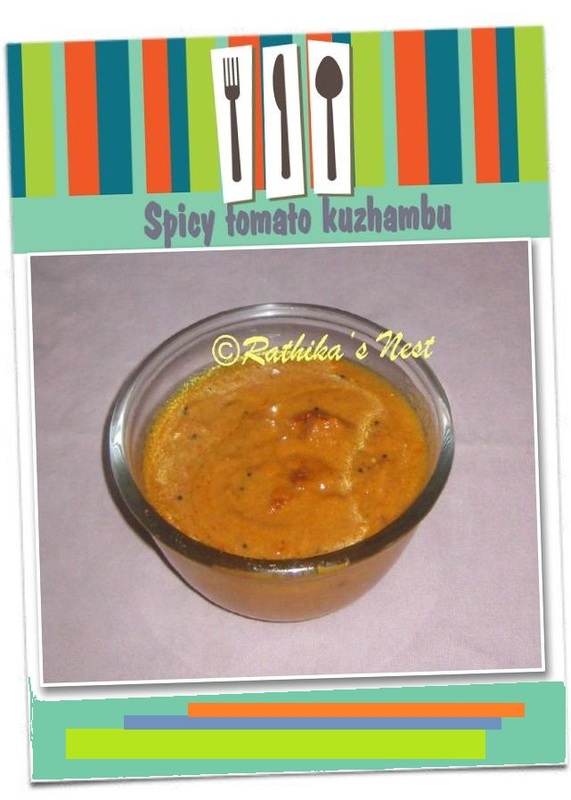 This ‘kuzhambu’ goes very well with rice and idlies. Please give it a try. Method: Heat 1 teaspoon of oil in a kadai, add red chilies and sauté till they turn darker. Add coriander seeds, fenugreek seeds, and black gram dhal. Sauté till the dhal turns light brown. Now add white thil and asafoetida. When thil starts sputtering, add grated coconut. Switch off the stove and mix the contents well. Let the ingredients stay in the kadai for 10 minutes. Later grind the fried ingredients with required water into a smooth paste. Keep aside. Grind the tomatoes into a thick puree. Heat the remaining oil in the kadai, add mustard seeds, and when they crackle add curry leaves. Sauté for 20 seconds and then add the tomato puree, required salt, turmeric powder and jaggery powder. Bring it to boil, and then cook on low flame for 2 minutes. Dissolve the ground paste in 2 tablespoons of water, and slowly add to the boiling gravy while stirring continuously. Simmer on low flame till oil separates. Your kuzhambu is ready! 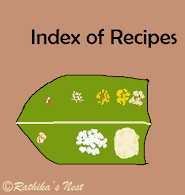 Serve hot with rice or idly.